It was a dark and stormy night in the early 18th century. Wind whipped the turquoise waters of the sea into a frenzy. 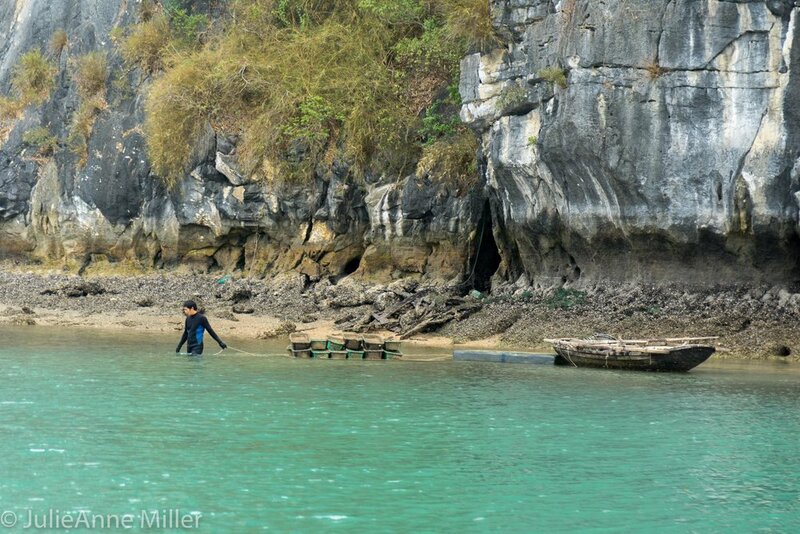 A small band of terrified fisherman seeking shelter from the typhoon steered their boats towards a tiny cave. On the other side, they discovered a fertile valley that became their new home. For two hundred years, the settlers fished the bountiful bay and farmed the rich soil, growing their small band into a peaceful village. In 1942, Vietnamese soldiers discovered the secluded community and named the village Viet Hai. Having lived with no outside contact, the Viet Hai people maintained the ancient way of living. They hunted in the jungle, farmed rice fields and planted fruits. Children fished every day to contribute to family meals. Until their encounter with the soldiers, they were unaware of civilization beyond their own village. 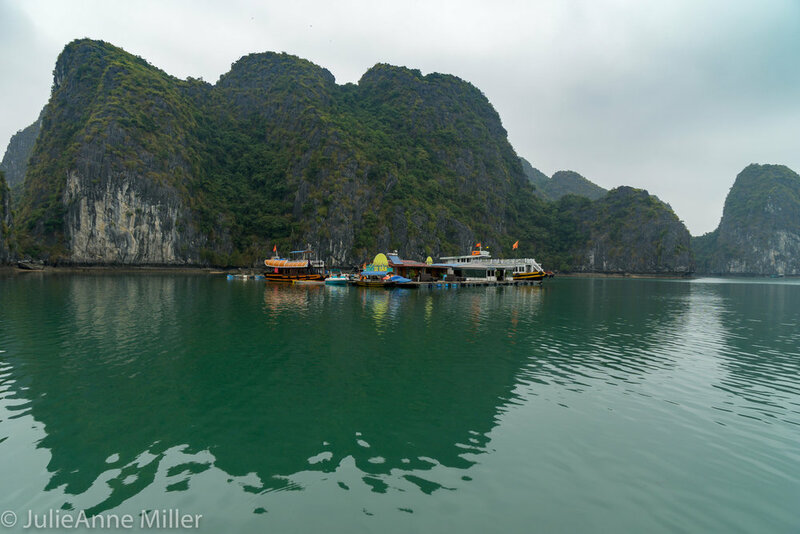 Today, Viet Hai is a burgeoning tourist attraction, though access is still tightly controlled. A couple of tourist boats a day unload camera-toting foreigners, accompanied by a tour guide who parades them through town in under 60 minutes. A few lucky people (like us) stay round-the-clock at one of a handful of home stays, enjoying the slow pace, smiles and quiet tranquility. The villagers have formed a farming commune, growing organic guava, papaya, bananas, rice, and other crops. There's a lady with pigs, another household with ducks, a couple of chicken coops, a grouchy man with oxen. I surmise from our brief stay that tourism and collective farming have been good to the community. Electricity was introduced in 2005 and a cell tower adorns the top of a high hill. A school, post office, and mayoral office form a town center. Some homes have modernized; others maintain the old wooden style. Kids play video games on flat screen TVs and adults gather on Saturday nights at the karaoke cafe to swap gossip and belt out ballads. Before coming to Viet Hai, we had been in noisy, polluted, wild Hanoi for a week. Lan's Homestay was the respite we needed to calm down and reconnect. Lan and his wife provided clean, modern accommodations, with high speed internet and three healthy meals a day to fuel our hiking, running, and kayaking adventures. 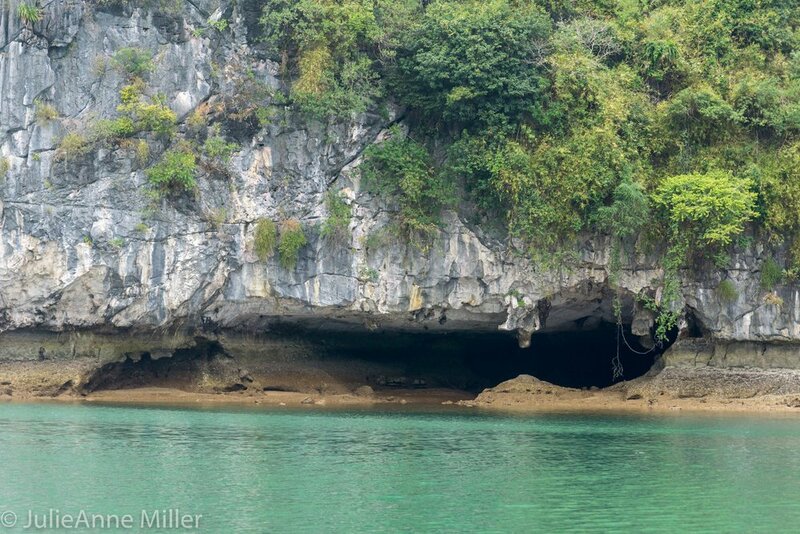 As a Viet Hai home stay guest, we had special permission to enter Cat Ba National Park and langur refuge during our boat tour of Cat Ba bay, which also included Monkey Island and lunch on one of the water-village fish farms. In the refuge, there are no floating homes, tourist boats, or trash. We had the entire place to ourselves. Aerial footage of Cat Ba National Park, Monkey Island, and aqua culture farm. 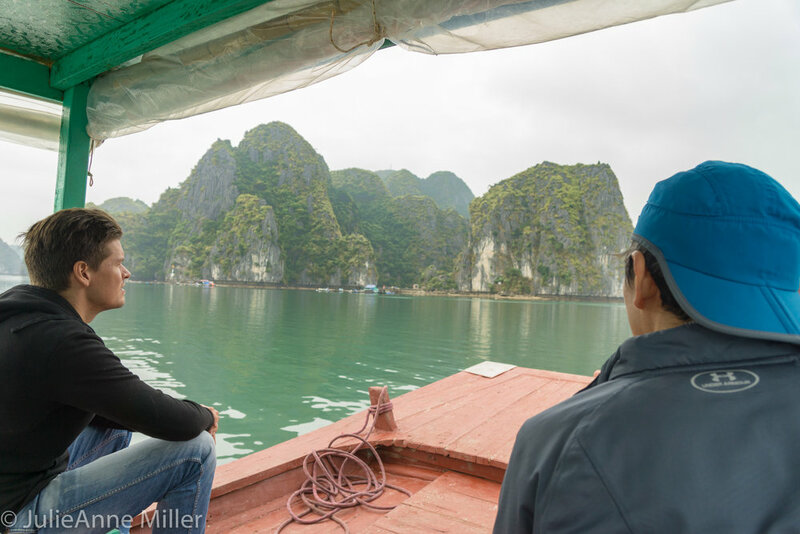 Most tourists to northern Vietnam book a fast-paced, one-day excursion to Halong Bay only to post disappointed reviews later. 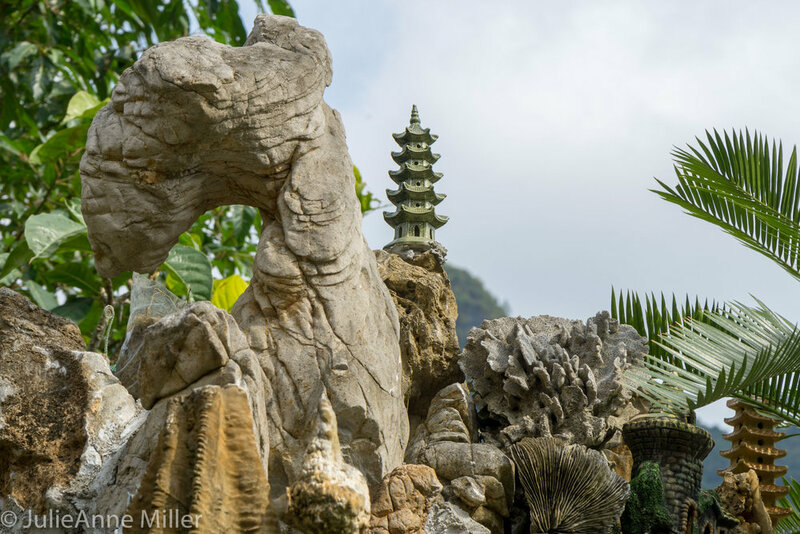 Do yourself a favor: ditch the crowds and enjoy a little slice of Eden in Viet Hai.